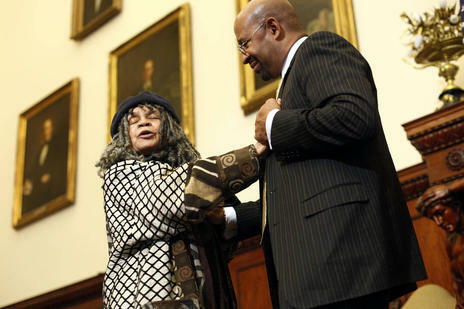 Who will be Philadelphia’s Next Poet Laureate? While Sanchez’s legacy will surely be solidified by her exceptional work as Philadelphia’s inaugural laureate, the looming question is who will replace her? The first poet that comes to mind is Lamont B. Steptoe, a Pittsburgh born, but decades-long Philadelphia resident and Vietnam War veteran who has recently returned from headlining an international poetry festival in Lithuania. Thom Nickels wrote an article for The Huffington Post on Philadelphia’s upcoming selection of a new poet laureate, in which he questions whether “a Steptoe-Sanchez succession [would] interfere with the city’s racial diversity goals”. What racial diversity goals? The city’s population is majority Black, but why should race matter in this situation anyway, unless someone has a pre-conceived notion that two Black poets are too similar? Nickels claims that Steptoe has the same kind of voice as Sanchez, but if he had actually read or listened to their respective poetry, he would know that Steptoe and Sanchez’s voices couldn’t be any more different from one another. Sanchez advocates peace and justice through a passive voice that focuses on natural beauty and the interactions of people through intimate relationships. 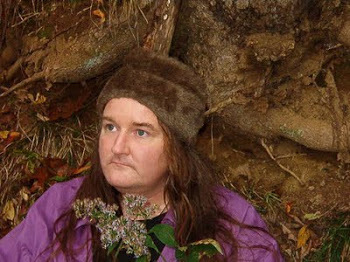 Steptoe is a raw, no holds barred truth-seeker, a spiritual warrior, and certified Reiki master who has converted Rimbaud’s abstract idea of the poet as shaman into an everyday practice of poetic prophesy. The Huffington Post article at times borders on conjecture, with labels that arbitrarily question the nomination of fictional poets, such as: “a safe mom poet”, “a vegetarian, Asian, female poet”, “a gay feminist poet”, or “a waspish W.H. Auden or Robert Lowell type”. In doing this, as well as introducing the article with an again, label-ridden description of Moonstone Arts annual Poetry Ink, and repeatedly and mistakenly calling the event “Poetry Link”, Nickels sounds slightly disparaging of what he calls “Poetdelphia”. There’s no doubt that Thom Nickels had good intentions in his attempt to illuminate the status of poetry in Philadelphia for the usual HuffPo reader. His article would be informative if it wasn’t for his incessant “Poetry Link” misnomer. Nickels speaks favorably of a few poets that he actually mentions by name, including Jack Veasey, Daisy Fried, and CAConrad. Nickels praises Veasey’s poetry, and gives him props for being raised in pre-gentrified Fishtown, but then laments that Veasey is now a Harrisburg resident and therefore is not eligible to be poet laureate. Nickels concludes his article by declaring that Fried should be the next laureate and defends his decision by quoting Joyce Carol Oates on why Fried has “an original voice”. Yet Fried’s poetry consists largely of confessional narrative free verse, which is fine, but it does little to represent the city of Philadelphia as a community. However, this does not mean that all hope is lost in the pursuit of an adequate poet laureate. As mentioned before, Nickels speaks highly of CAConrad, but then dismisses him because Conrad’s bizarre yet captivating poetry might not go over well “at a City Hall business luncheon”. Although that question should be irrelevant, considering that the laureate’s job is not to give readings in City Hall, but to go out on the streets and advocate poetry to the people. Nickels brings up a valid point, does politics matter in the selection process? Considering that Mayor Nutter will not be making the decision himself, but rather will sign off on a recommendation by a committee of eight poets and academics, politics may not matter as much as Nickels suggests. So CAConrad, who is currently in residence at the famous MacDowell Colony, where Thornton Wilder wrote “Our Town”, should not be looked over in comparison to a conventional poet like Daisy Fried. Conrad was just published in October’s issue of POETRY, the foremost poetry magazine in America, and so it would be interesting for the panel to select an out-of-the-ordinary, nationally-on-the-rise poet to represent the city. Yet Steptoe has the advantage of decades of experience, and he also has explicitly represented Philadelphia in his poetry without ever having been given the task by someone else. Race and politics aside, Lamont Steptoe deserves to be the next poet laureate, and two years after that, CAConrad.